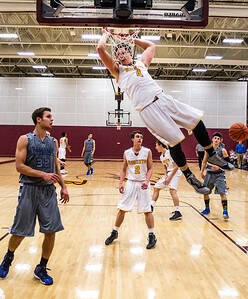 Kyle Grillot - kgrillot@shawmedia.com Richmond's Joey St. Pierre dunks the ball late in the fourth quarter of the boys basketball game against Woodstock Friday, January 9, 2015 in Richmond. 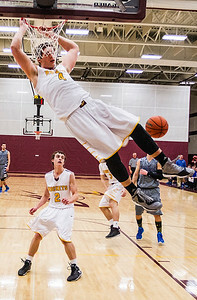 Richmond-Burton beat Woodstock, 67-57. 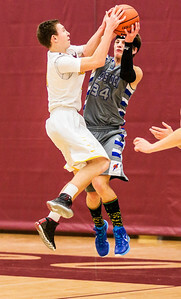 Kyle Grillot - kgrillot@shawmedia.com Richmond's Reggie Banks (right) puts up a shot guarded by Woodstock's Nick Kubiak during the second quarter of the boys basketball game Friday, January 9, 2015 in Richmond. Richmond-Burton beat Woodstock, 67-57. Kyle Grillot - kgrillot@shawmedia.com Richmond's Jesse Hill-Male (left) and Woodstock's Noah Franklin jump for a loose ball during the third quarter of the boys basketball game Friday, January 9, 2015 in Richmond. 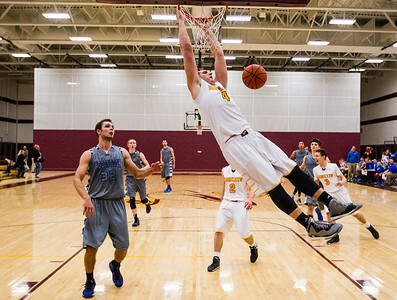 Richmond-Burton beat Woodstock, 67-57. 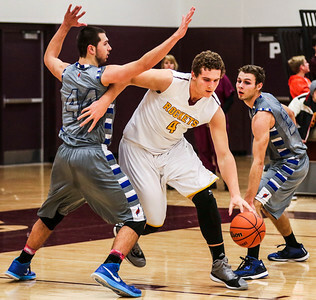 Kyle Grillot - kgrillot@shawmedia.com Richmond's Joey St. Pierre goes to put up a shot guarded by Woodstock's Nick Kubiak (left) and Mason Sutter during the fourth quarter of the boys basketball game Friday, January 9, 2015 in Richmond. 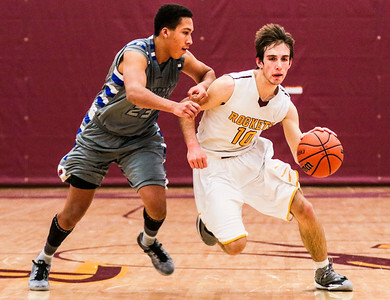 Richmond-Burton beat Woodstock, 67-57. Kyle Grillot - kgrillot@shawmedia.com Woodstock's Vannis Smith (left) guards Richmond's Sam Kaufman during the fourth quarter of the boys basketball game Friday, January 9, 2015 in Richmond. 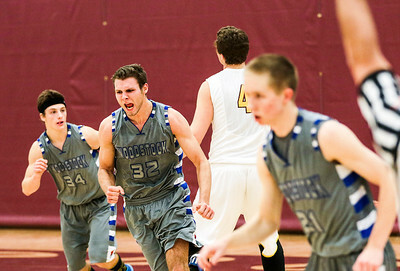 Richmond-Burton beat Woodstock, 67-57. Kyle Grillot - kgrillot@shawmedia.com Woodstock's Mason Sutter (center) reacts after making a shot during the third quarter of the boys basketball game Friday, January 9, 2015 in Richmond. Richmond-Burton beat Woodstock, 67-57. 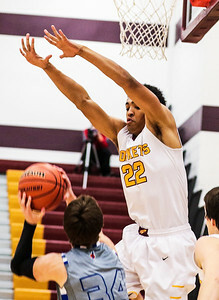 Kyle Grillot - kgrillot@shawmedia.com Richmond's Reggie Banks (right) Woodstock's Noah Franklin's shot during the first quarter of the boys basketball game Friday, January 9, 2015 in Richmond. Richmond-Burton beat Woodstock, 67-57. 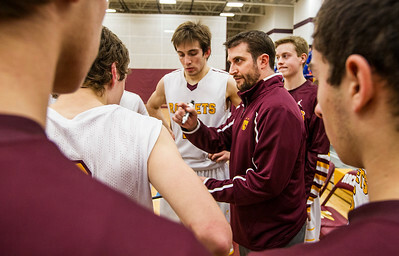 Kyle Grillot - kgrillot@shawmedia.com Richmond-Burton head coach Brandon Creason talks with his players during the second quarter of the boys basketball game Friday, January 9, 2015 in Richmond. Richmond-Burton beat Woodstock, 67-57. 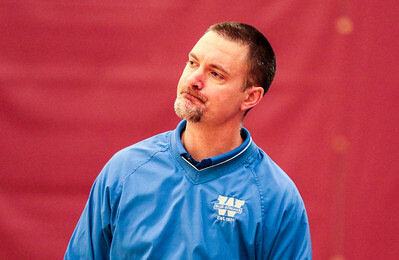 Kyle Grillot - kgrillot@shawmedia.com Woodstock head coach Al Baker watches the game during the second quarter of the boys basketball game Friday, January 9, 2015 in Richmond. Richmond-Burton beat Woodstock, 67-57. Richmond's Joey St. Pierre goes to put up a shot guarded by Woodstock's Nick Kubiak (left) and Mason Sutter during the fourth quarter of the boys basketball game Friday, January 9, 2015 in Richmond. 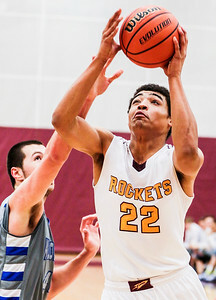 Richmond-Burton beat Woodstock, 67-57.